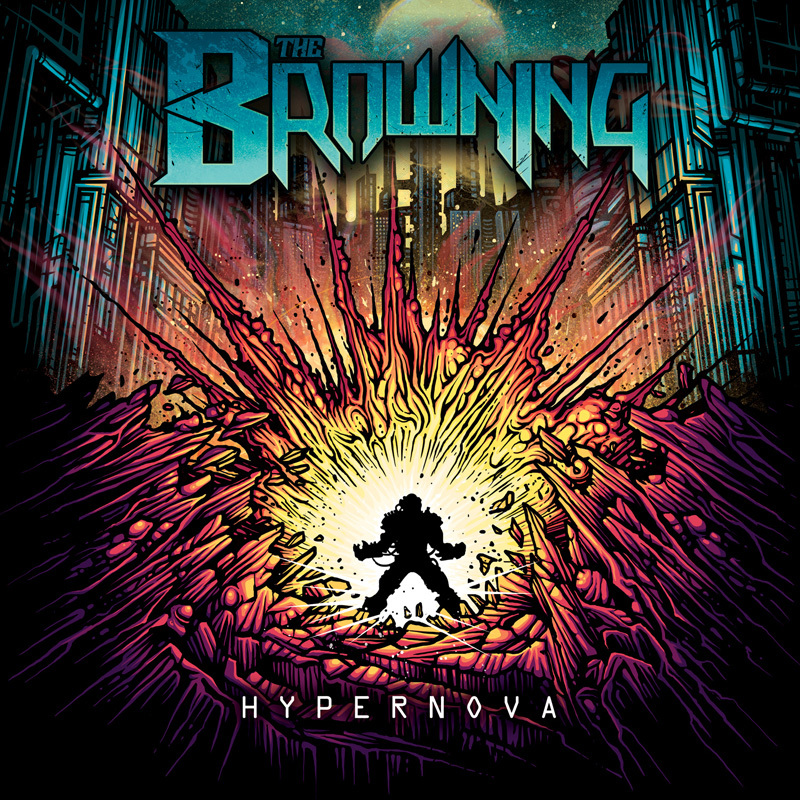 HYPERNOVA, the brand new album from electronic metallers THE BROWNING, is out now in the USA on Century Media/Earache Records. View the album art here. Get HYPERNOVA now on CD in the USA from CM Distro here. Get HYPERNOVA on iTunes in the USA with two exclusive bonus tracks here. HYPERNOVA is also available now on Spotify with two bonus tracks, "Gravedigger (Eskimo Callboy Remix)" and "Fifth Kind (Ricky Horror of Motionless in White Remix)", as well as an exclusive track by track commentary. 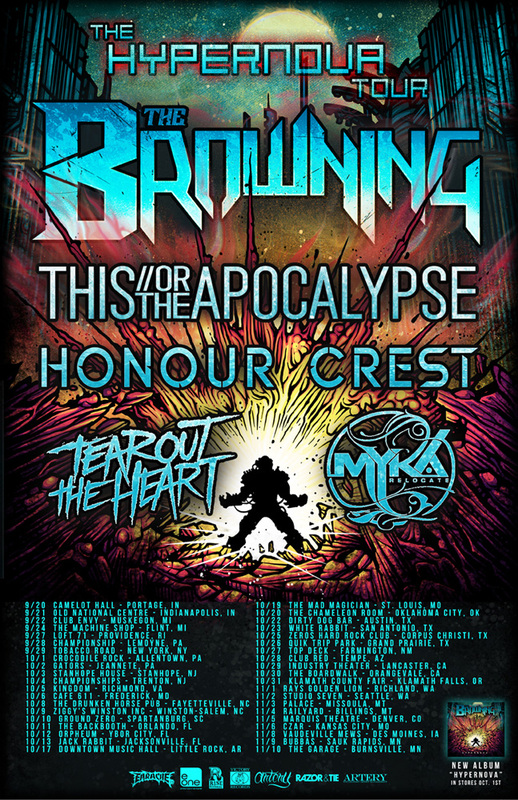 THE BROWNING kicked off a headlining US tour last week in support of HYPERNOVA. The seven-week trek features support from THIS OR THE APOCALYPSE, HONOUR CREST, TEAR OUT THE HEART and MYKA RELOCATE. View the tour flyer here.